Mrs. Belinda Windham, owner of Lavender Funeral Home in Aliceville, Alabama, presented each school in Aliceville with a $500.00 donation. Mrs. Windham’s kindness is appreciated by the stakeholders at each school. The money will be used for student services at each school. 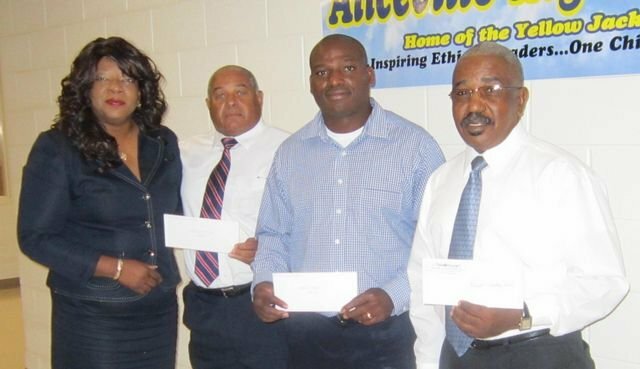 Pictured left to right are: Mrs. Windham; Fred Young of Aliceville Middle School; Terry Sterling of Aliceville High School; and Russell Smart of Aliceville Elementary School.